Nearing the end of week three of the 2014 MLB season, it’s time to take a look at which hitters and pitchers are cranking up their production as the weather gets warmer. Though it’s early, the streakiest players in the game have already posted numbers that are remarkable in ways both good and bad. Here are the best and the worst performances on the current week’s MLB Meter. Stats accumulated before play on April 18 were taken into consideration, with the emphasis on the previous seven games. 1. Chase Utley, Phillies: Philly’s old-school (some would simply say “old”) second baseman is feeling great in 2014. Utley is leading the entire sport in batting average (.462), slugging percentage (.769) and OPS (1.286). No one is even close to Utley’s marks in any of the three categories. In his past six games, Utley hit .458 with a 1.250 OPS. 2. Joey Votto, Reds: Cincinnati’s stud has turned it up several notches nearing the close of week three. Votto jacked 4 home runs and drove in 8 RBI in his last 6 games while hitting .450 with an absurd 1.677 OPS. The powerful, patient approach Votto takes is clearly working. 3. Adrian Gonzalez, Dodgers: On a very loud Dodgers team, A-Gon is slipping under the radar like a lethal stealth bomber. Pitchers who have encountered him recently have come away brutalized. In his last seven games, Gonzalez cranked 4 home runs and posted 12 RBI while hitting over .400. That run included 10 RBI in a three-game set against Arizona. 1. Dexter Fowler, Astros: Fowler came out swinging for Houston in the opening series against the Yankees, but he’s fallen into a terrifying slump near the end of week three. 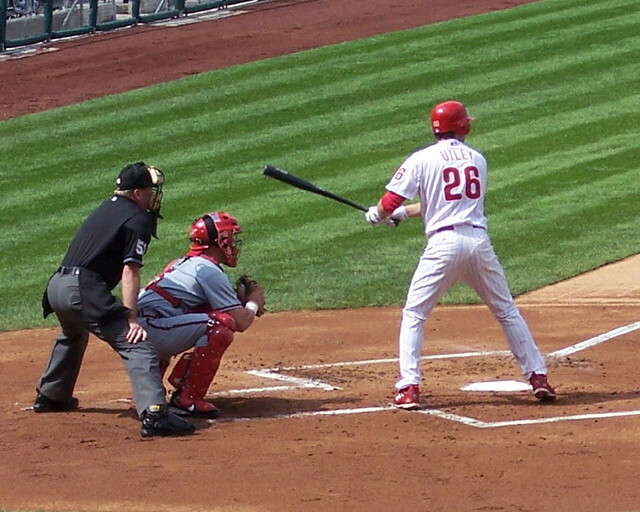 In fact, Fowler’s stretch of 1-27 (.037 BA) at the plate is the type of run that gives hitters nightmares. During that span, he stuck out 9 times and walked just once for an .071 OBP. 2. Jose Abreu, White Sox: The Cuban slugger took the MLB world by storm in the season’s second week by posting 4 HR and 8 RBI in the span of three games. Then someone pulled the plug. In six games against Cleveland and Boston, Abreu went 1-21 with 8 strikeouts. For that performance, Manager Robin Ventura thought the time had come “to give him a day” and kept him out of the April 17 lineup. 3. 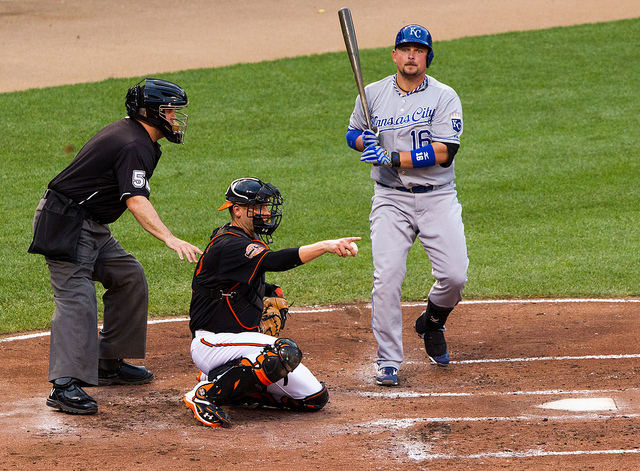 Billy Butler, Royals: “Country Breakfast” has had better runs. Butler endured a 2-22 stretch at the plate leading up to the close of the season’s third week. That included a batting average of .091 and a .160 OBP. 1. Hyun-Jin Ryu, Dodgers: The other big lefty in L.A. has found his groove headed into the end of week three. Ryu dominated two road starts in San Francisco and Arizona. In 14 IP, Ryu didn’t allow a run and struck out 11 in picking up a pair of wins. 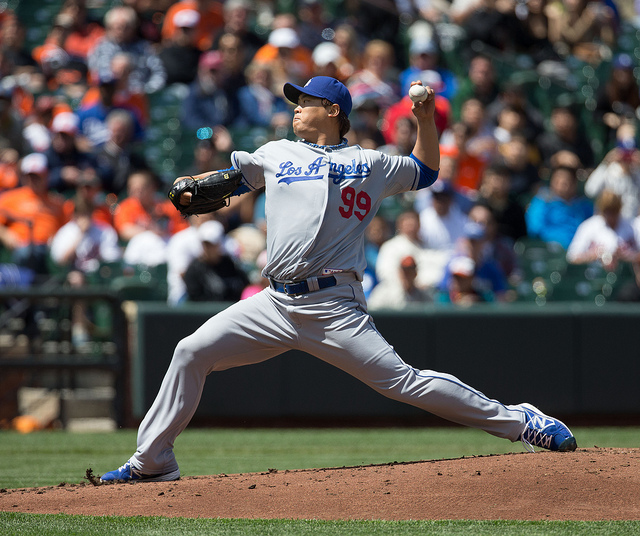 Aside from one bad start against the Giants in L.A., Ryu has been brilliant for the Dodgers in 2014. 2. Kyle Gibson, Twins: His name probably doesn’t ring a bell for many baseball fans, but the Twins’ Kyle Gibson is absolutely on fire in 2014. He’s won each of his first three starts with his 0.93 ERA and is getting better. Leading into the end of week three, Gibson gave up 1 ER in 14.1 IP against the Royals and Blue Jays (both wins). 3. Andrew Cashner, Padres: One could make a case for the excellent Yu Darvish in this third spot, but Cashner was so effective over his last two starts he has the edge. In 16.1 IP, Cashner struck out 16 and allowed 1 earned run while nabbing wins against the Tigers and Rockies. Against Detroit, the big righty pitched a complete-game shutout. He allowed one hit and struck out 11 Tigers. Cashner currently holds a 1.27 ERA in four starts. 1. 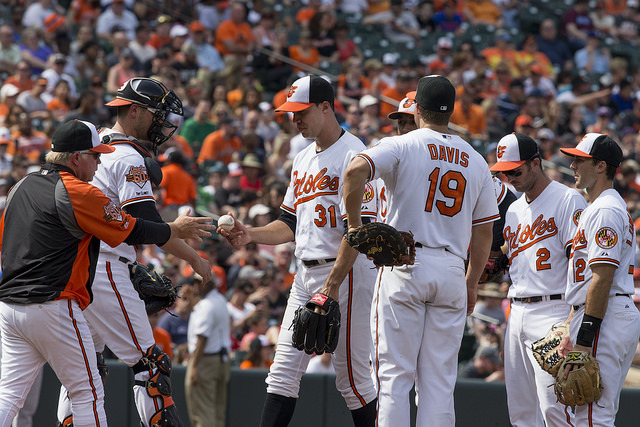 Ubaldo Jimenez, Orioles: Baltimore made a splash in the offseason with the signing of Ubaldo Jimenez, but it has yet to pay dividends. His first start against the Red Sox was decent enough at 4 earned runs over 6 IP. Since then, Jimenez has allowed 9 earned runs in 10 IP against the Yankees and Blue Jays (both losses). 2. Erasmo Ramirez, Mariners: Things haven’t gone according to plan for the new-look Mariners so far in 2014. Righthander Erasmo Ramirez in particular has fallen off the map after a promising first start against the Angels. Since then, Ramirez has served up a dreadful 11 earned runs in 9.1 innings (one loss, one no-decision). 3. Tanner Scheppers, Rangers: For Scheppers, the 2014 season started bad and never got better. His 9.82 ERA is the worst in baseball. Over his past two starts, he’s underperformed that basement level with a 10.61 ERA. Even in a patchwork rotation, Scheppers may not have many more starts ahead of him.